La Paloma Mexican Restaurant - Serving Fine Mexican Food for over 48 years! By signing up you agree to be added to La Paloma Mexican Restaurant's email list, as well as LocalLoyaltyReward's weekly update. We do not buy, sell, or trade our email lists. 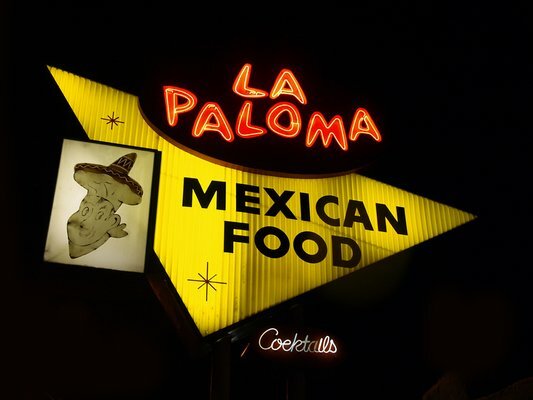 La Paloma Restaurant is family owned and has been serving fine Mexican food in La Verne for over 50 years! All food is prepared on the premises. We offer catering and take-out as well. We have a full-service bar with great margaritas. We are famous for our large portions but most importantly for our delicious Mexican Food! Become a VIP of La Paloma Mexican Restaurant and get Rewarded! Receive special deals, coupons, and event information delivered directly to your email!